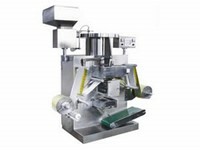 The blister packing machine uses aluminum to automatically pack drugs. 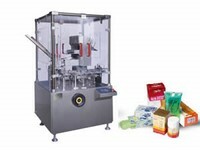 With a high degree of automation and clear instructions, the machine is convenient to operate. Parameter settings can be completed by simple operations. 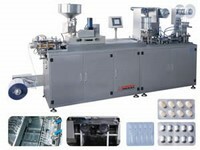 Parts of this pharmaceutical machine in contact with drugs are highly safe, which can prevent the packaging process damaging the quality of drugs. 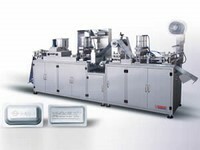 This series of blister packing machine has different specifications. Customers can choose appropriate product according to actual needs. 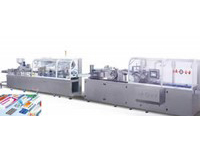 Jiangnan Enterprise is an experienced blister packing machine manufacturer based in China. Our products include tablet coating machine, automatic cartoning machine, automatic medicine packaging production line, granulator, and much more. Vertical Cartoning MachineDeveloped on the basis of advanced technology at home and aboard, the vertical cartoning machine is a high-tech product integrating mechanics, electronics, light and gas. 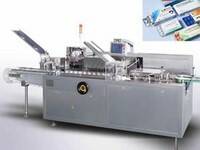 It has stable working performance and high work efficiency, thus achieving fast cartoning. Horizontal Cartoning MachineDue to the horizontal design, the horizontal cartoning machine will cover a larger area than the vertical cartoning machine. There are two models, WZH-100 and WZH-180, available. These two models correspond to cartons with different size ranges. The WZH-180 horizontal cartoning machine has higher work efficiency, but it consumes more energy accordingly. Customers can choose the appropriate model based on the actual needs. 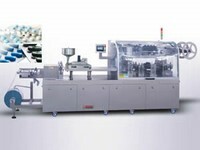 Automatic Medicine Packaging Production LineThis automatic medicine packaging production line can automatically complete blister packaging, missing and broken pieces detection, waste plate excluding, leaflet folding and cartoning, plate cartoning and other steps, which is suitable for AL-plastic and carton packaging of products in pharmacy, cosmetics, food, electronics and other industries.